Are you an investor or a manager? Want some tips on how to get rich? Here they are, as simple as they get, and straight from the horse’s mouth! Who Should Read “The Essays of Warren Buffett”? And Why? If you are an investor or a manager – or have any interest in Wall Street whatsoever, Warren Buffett is probably to you the same Jehovah is to the Jews: a God. So far, we’ve introduced you to his ways via a proxy. And it’s not that Robert P. Miles’ “The Warren Buffett CEO,” Alice Schroeder’s “The Snowball,” or Robert Hagstrom’s “The Warren Buffett Way” are not exceptional books, or that these essays offer an earth-shatteringly different Buffett from the one you can infer from those three books. But it’s a bit different when you hear it from the man himself. Warren Edward Buffett is an American investor, business magnate, and philanthropist, the chairman and CEO of Berkshire Hathaway and the third richest person in the world. 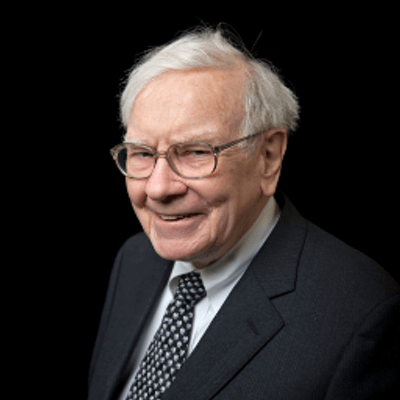 Born in Omaha, Nebraska, Buffett graduated from Columbia Business School, where, influenced by the philosophy of his mentor, Benjamin Graham, he first became interested in value investing. Soon he teamed up with Charlie Munger and, after they acquired the textile manufacturing firm, Berkshire Hathaway, they started trading on Wall Street. Having pledged to give all but 1% of his fortune to charitable causes, by sheer numbers, Buffett is quite probably the greatest philanthropist in the history of humanity. Even so, “The Essays of Warren Buffett” is, basically, the only one Buffett’s name is also listed under the author. Needless to add, it’s also Buffett’s favorite one. Described by the Wizard himself as “a coherent rearrangement of ideas from my annual report letters,” “The Essays of Warren Buffett” is actually a carefully edited and organized selection of Buffett’s letters to the shareholders of Berkshire. The letters distill in plain words all the basic principles of sound business practices. 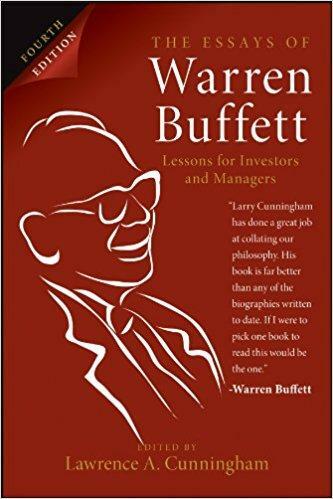 On selecting managers and investments, valuing businesses, and using financial information profitably, the writings are broad in scope, and long on wisdom. The central point of Buffett is always the same: investors should ignore the market, focusing all of their energy on identifying good businesses and buying them at a good price. If it doesn’t, then the basic premise of capitalism – Adam Smith’s “invisible hand of the market” – is, more or less, wrong. To sum this up in a more memorable way: market prices don’t express business values but should eventually. Mr. Market is a volatile, manic-depressive fellow and you can’t trust him in the short run. In the long run, he will come to his senses – if you don’t lose yours in the meantime. Buffett was never interested in running businesses: he made his fortune by purchasing promising businesses and assigning talented managers to operate them. Even so, he was only buying all – or significant portions – of businesses he understood, continuously emphasizing that, essentially, there’s no difference between buying a business and investing in one. Diversification is pointless: you should only focus on investing in businesses you actually understand. During the 1980s – Buffett points out – it’s exactly because of the fact that people ignored this advice that Wall Street got both its junk bond kings and paupers. Don’t doubt for a second that you’ll probably end up being a part of the latter group since when there are manias, the ratio between success and failure stories tends to rise exponentially to the detriment of the majority. And you, unfortunately, are usually the rule – not the exception. If you try to answer yourself the questions “why” and “how” you’ll probably end up with an investment strategy very similar to the one Warren Buffett strictly adheres to for decades. Namely, markets fail because, at a certain point, the discrepancy between the inherent value of a company and its stock prices is just too enormous to hold up. You can try to be a maverick and base your investment strategy on profiting from these discrepancies in the short run, but, as history has taught us, you’re bound to make a mistake or two eventually – some of which may be very costly. Warren Buffett’s commonsense strategy is much safer: only buy shares in companies which have an inherent value and expect returns in the long run. Mr. Market is a manic-depressive guy, but, he eventually comes to his senses. Don’t lose yours by trying to understand him. In essence, Warren Buffett says, there’s no difference between buying a stock in a company and buying the company itself. In other words – you will certainly hesitate a lot before buying a company you know nothing about, based on its market value alone. Then, why would you invest in one? Aren’t you merely trying your luck? Buffett’s investment strategies are deeply rooted within a personalized philosophy of honesty. Well, so are his managerial advices. In his opinion, Berkshire’s shares must maintain a close relationship with the company’s intrinsic value, so that shareholders receive real profits which represent the company’s results over the period of the shareholders’ holdings. Unfortunately, the pressures to report a profit and the focus of companies on their stock prices have resulted in numerous accounting manipulations, which, in Buffett’s opinion, are everything that’s wrong with society. Honesty has always been the best politics in both investing and business, says Buffett. And we must try – for the sake of humanity – to keep this truism alive. And when we included in our list of “Top Finance and Investing Books” in history, we noted that this is Buffett’s most autographed book. So, in other words, he approves its message. We’ll be mad not to.